LOOK has unveiled its latest high-performance pedal offering: the Keo Blade Carbon Ceramic. The new pedal makes its racing debut under double French Tour de France podium finisher Romain Bardet in the crucial Stage 7 of Paris-Nice, from Nice to the Col du Turini alpine pass. According to the company, the new model, which is manufactured in France, represents a step forward in innovation, with ceramic bearings used for the first time in a production pedal. The advantages of ceramic bearings in cycling are well-documented, with reduced friction, increased power transfer and product reliability cited as key benefits. The hand-made bearings are protected by LOOK’s double-sealed spindle construction, which ensures IPX7 full submersion and IPX6 water jet waterproofness while also keeping out grit and dirt from the ceramic internals. 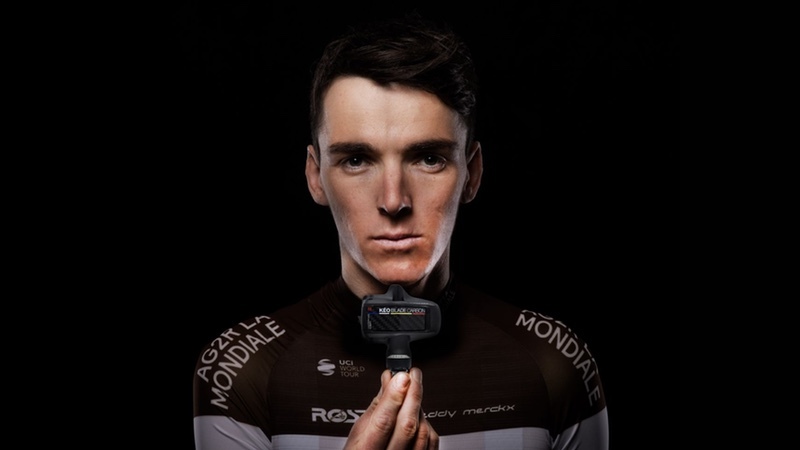 Meanwhile, LOOK’s unique Blade technology ensures that Team AG2R LA MONDIALE rider Romain Bardet will be ‘securely attached to his pedals when he chooses to put in one of his characteristic race-animating attacks’. Carbon blades of 12, 16 and 20Nm tension are available (12 and 16Nm supplied as standard). Additionally, the new pedal also boasts the best claimed power transfer-to-weight ratio in the market, with a surface area of 700mm2 for power transfer, as well as a compact size to keep weight and size to a minimum. LOOK’s engineers have worked to pinpoint the areas where energy transfer is optimal through the pedal stroke, arriving at the moulded plate design featured in the Keo Blade Carbon Ceramic. At the same time, a low 14.8mm stack height (pedal and cleat) results in a direct connection between the pedal body and the rider. The LOOK Keo Blade Carbon Ceramic, which Bardet will be debuting at Paris-Nice, comes fitted with a chromoly axle (RRP €189.90, available now), and weighs 110g. Ahead of debuting the pedal at Paris-Nice, Romain Bardet, noted, “The rigour and thoroughness with which I approach each day is equalled only by my passion for cycling. In my eyes, nothing should ever be left to chance and my choice of equipment reflects this obsession. Alexandre Lavaud, LOOK Cycle Pedal Product Manager, said “LOOK are delighted to be launching the Keo Blade Carbon Ceramic with Romain at Paris-Nice, especially at such a key point in the race where its performance benefits will assist him in his efforts.